My story card: Kirsten Hill remembers coming to see shows as a child and now takes her daughter, who shares her love of theatre. I came to the Mayflower as a child and remember Miss Saigon, Les Mis and Barnum. 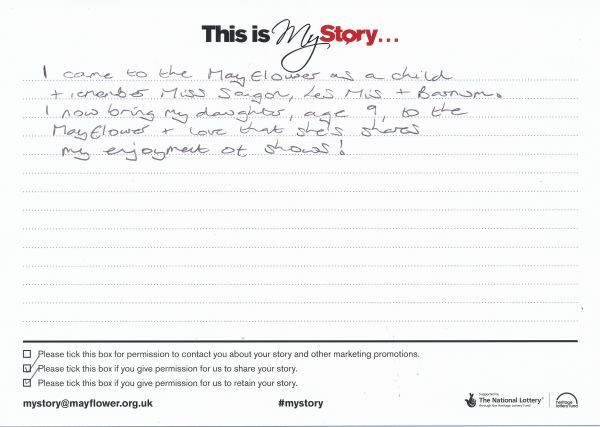 I now bring my daughter, age 9, to the Mayflower and love that she's shares my enjjoyment of shows!